2s promoted to Division 3, despite loss! The 2nd XI travelled to Abingdon, only needing a few points to secure promotion. Losing the toss and getting put in to bat, Thame got off to a rocky start. Only Jack Aston (55) ever seemed to get going, with wickets falling regularly, meaning that Thame could only reach 157. 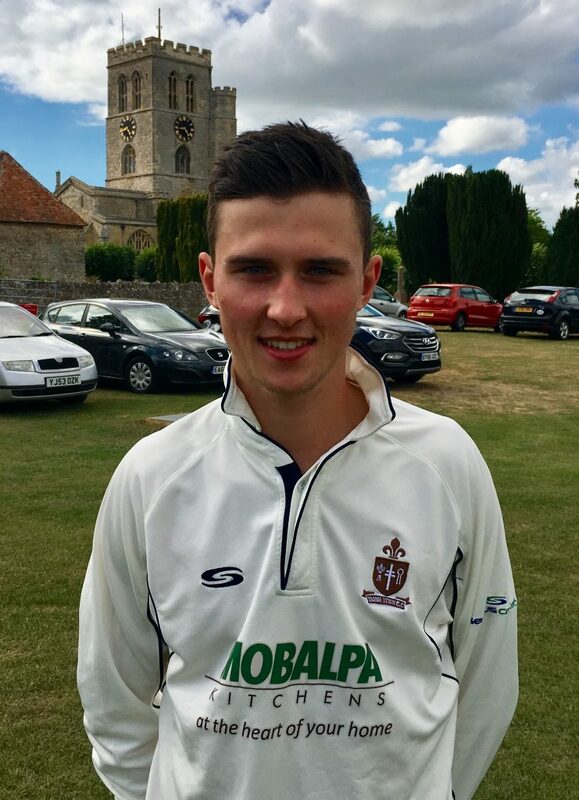 In return, early wickets from 2nd XI debutant Will Bruce-Morgan (2-25, pictured below) put Thame on the front foot, before an Alastair Thomas run out. However, Thame then couldn’t break through Abingdon’s middle order, leading them to lose by 6 wickets. Despite the loss, Thame got enough points to secure promotion to Cherwell League Division 3! The 3rds hosted Stokenchurch 2nds, hoping for a win that would bring revenge for their last defeat in late-June, which would also secure their promotion to Division 8. After 2 early wickets, Justin Avery (115) and returning-favourite Shakeel Khan (98) put on a rapid 178 for the 3rd wicket. Sadly, Shak fell just 2 short of his century, but with a hard-hitting cameo of 18 from James Olliver, Thame declared on 264-6 off 41 overs. Despite being faced with this daunting target, Stokenchurch started brightly with Sam Leppard’s lofty drives. 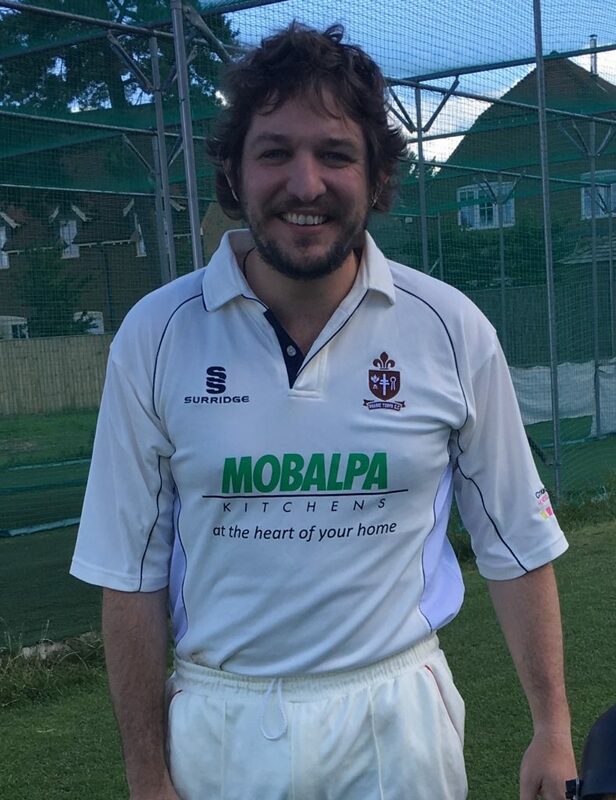 Wickets fell regularly, however, to Nick Humphries (3-35) and Rob Tomlin (2-17), which included a catch on the fine leg boundary by Humphries for a golden duck. The tail was mopped up by Pete Tervet (3-9, including a diving catch-of-the-day from his own bowling) and by James Olliver (2-5), leaving them 69 all out in just 21 overs – a winning margin of 195 runs. 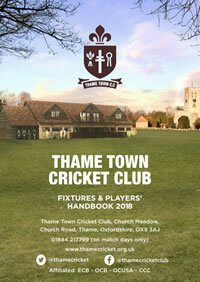 Guaranteed promotion, Thame now travel to play table-toppers Bletchley 2nds, for the title-decider this coming Saturday. Thame 1st XI hosted local rivals Aston Rowant on Saturday. Batting first after winning the toss, Rowant took full advantage of a docile pitch as they made 288-5 from their 50 overs, Andrew Tolson carrying his bat for a fine 112. Andy Russell was the pick of the Thame bowlers, finishing with 3-35. The Thame response stuttered from the start, with wickets falling at regular intervals. 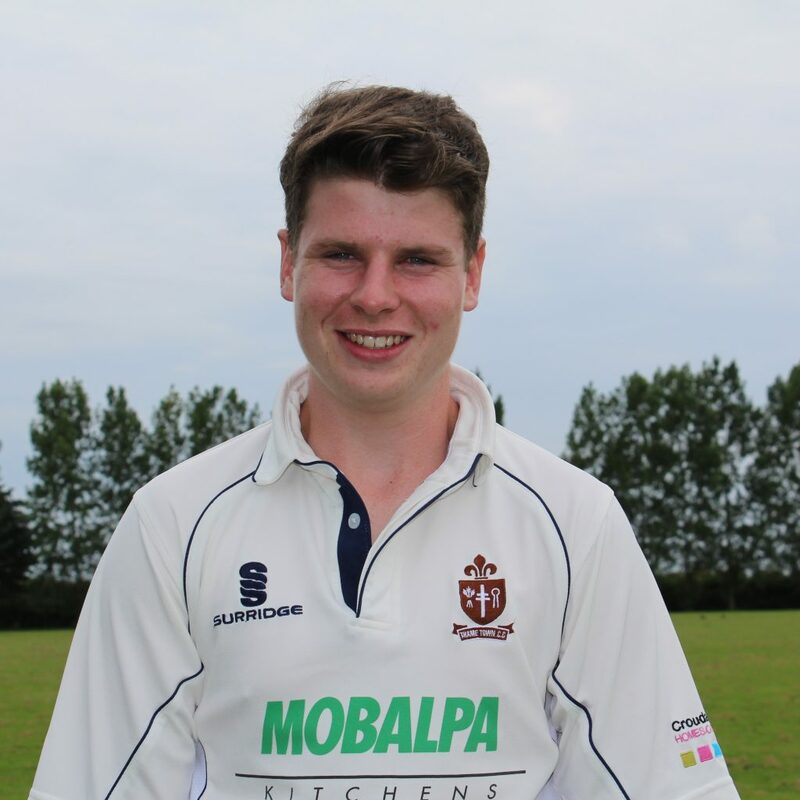 Callum Russell (pictured below) held things together with a battling 65, but Thame were ultimately dismissed for 196. Thame travel to Oxford for the final game of the season next weekend. After a run of two straight wins, Thame 4s faced league leaders Dinton in a testing wicket and opposition. After losing the toss Thame were put into the field and put to the sword. Dinton made a steady start before conceding the first wicket in the 10th over to junior, Martin Wiles. Thame continued to make steady progress eventually taking 7 wickets and conceding 233 runs. Neil Smith (2-39) and Wiles (2-55) were the pick of the bowlers. Facing a large target and an ever degrading wicket Thame 4s batting struggled with Dinton’s consistent line and length. Eventually falling to a heavy defeat to the promoted side by 193 runs. Thame faced Henley in their return match on Monday. Batting first, Henley posted 219 for 5 off 30 overs – 14 less than last week. Wickets came from Mel White (1-23), Sarah Sanderson (2-51), Claire Morris (1-26) and Antonia Barnes (1-9) knocking off the bails with her first ball! In reply, Thame made 181 for 9 off 30 – 55 more than last week, with commanding performances from Beth John (50 retired), Sarah Sanderson (35*) and Mel White (28). Support came from Barnes, Bridget Cooper and Michelle Wells, and a brave knock from the doubly injured, but indomitable, Clare Seed with the help of a runner. Although Thame’s women suffered another loss to Henley, Thame took only a sense of achievement from their performance. 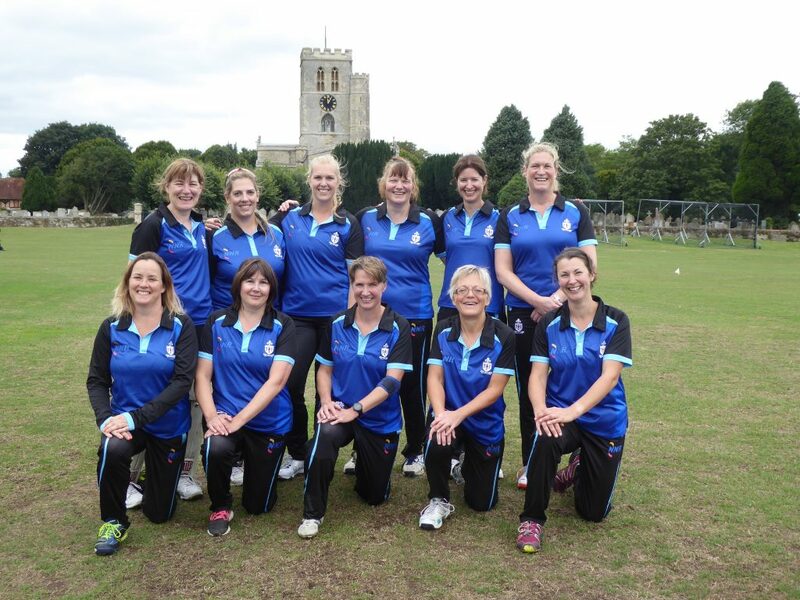 Facing another young Henley side – with 5 county players – Thame’s women demonstrated that this first season of competitive playing has seen steadily improving personal and team performances.